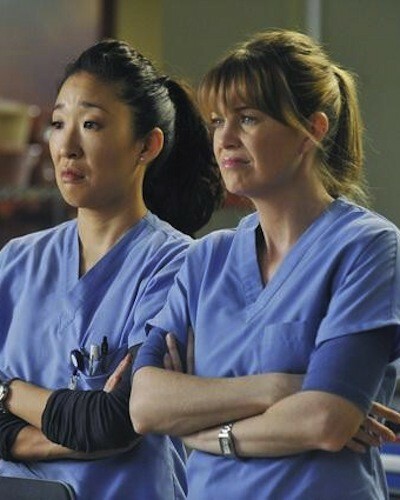 21 Reasons Why It Is Awesome to Have a Work Bestie! The office is where most of us probably spend 8-12 hours a day on average. And when you are spending half of your day at work, it is bound to get monotonous and annoying. But, there is always someone who is there to break this monotony and make your office time seem like a breeze - s/he is always there, whether to rant, gossip, seek help from, or take you home safely when you have had a few "extra" drinks at an office party. Yes, we are talking about your work bestie. Read on to find out why having a work bestie is not only essential but also awesome! 2. They act as your professional shock absorber. 3. They are the only ones who are in the same boat as you are and hence can always empathize. 4. Gossip, insider jokes, venting partner - they are all that and more. 5. You always have someone to have lunch with, and eat from their dabba when you don’t like your own food. 6. Who else do you rant with about your overbearing boss or snarky colleague?! 7. They are always eager to share a news update. Even if it’s Kim Kardashian doing her #BreakTheInternet thing, a silly cat video or a 9gag meme. 8. Your bestie will help you catch the attention of your office crush. 9. You always have an after-work drinking buddy. 10. You always have someone to ask questions without the fear of being ridiculed. 11. You always have someone to lend you a sanitary napkin, kajal or even a comb. Not to mention spare cash. 12. They’re the only ones who’ll tell you that you’ve got lipstick on your teeth and mayo in your hair. 13. Bathroom time = gossip time. 14. They are sure-shot cures to Monday-morning blues. 15. They have your back no matter what, and you guys are a team. 16. They are always around to brainstorm new ideas and help you finish that dreaded presentation on time. 17. You have someone to hang out with at boring office parties and events. 18. They cover for you when you’re running late in the morning and your boss is asking for you. 19. You are assured of at least one brilliant peer review come appraisal time. 20. They will always back your excuses and stories about why you need leave. 21. They’re the best career advisors you will have. They will be truthful without being mean. MUST-READ: 19 Reasons Why Young Indian Women Worry about Getting Married MUST-READ: #FBFanatic: 20 Signs You Are a Facebook Stalker!